Hire bathroom fitters Hounslow for prompt repairs, complete bathroom refurbishment and new fixtures installation. Enjoy a seamless renovation and installation process from start to finish and give the hardest-working room in the house a fresh new look perfected to the last detail. With us, you stay in control of your spending – make your bathroom chic and cosy without worrying about the bathroom fitting cots. Our service hours are flexible – the time of renovation works is up to you. Fully insured workmanship – the bathroom specialists have complete insurance cover on all services for your peace of mind. Have a look at some of the projects we've completed so far in the pictures below. Who knows, maybe you'll even get some ideas for your own bathroom remodelling! Whether you're renovating an old bathroom or you need installation of features in your newly built property, we can help with quality workmanship and guaranteed work to take the hassle away. You may have a large space where you will install a bathtub and vanities, or you might just need to replace the tiles in the shower room – bathroom renovation and fitting has never been easier. For your bathroom refurbishment in Hounslow, we disconnect and remove all bathroom fixture and vanities. If you will be installing new ones, we will dispose of the old ones in an environmentally responsible way, otherwise just store them until it's time to put them back in place. Next, it's time for the floor tiles, wall plaster and tiles to be hacked off. Then, we can start the plumbing and electrical work, and do the remedy works, replace wall and floor boards, plaster and dry-line the walls. Finally, we can lay the tiling, fit all bathroom fixtures, and add the finishing touches with accessories. Repairing walls, tiling, and grouting. Have a look at some of the reviews our previous customers have left us to see how we've been able to make their ideas a reality. We can provide all materials and supplies for your bathroom installation and redesign. From the tiles and plastering to the plumbing and electrical materials, to the fixings and accessories – we have a wide range of materials for your to pick and choose from. And in addition to the time you will save instead of doing the shopping yourself, you will also benefit from the special discount rates we can offer thanks to our partnership with a leading brand. If you already have all supplies and materials, we will be happy to breathe new life into you bathroom, using them. You've already chosen a pedestal sink to make up some space or you've found the perfect mirror months before, so now count on us to set everything in place and make the bathroom of your dreams a reality. If you've just bought a new home, it's a safe bet you'll need some help turning a room into a bathroom or adding that extra en-suite for your comfort. 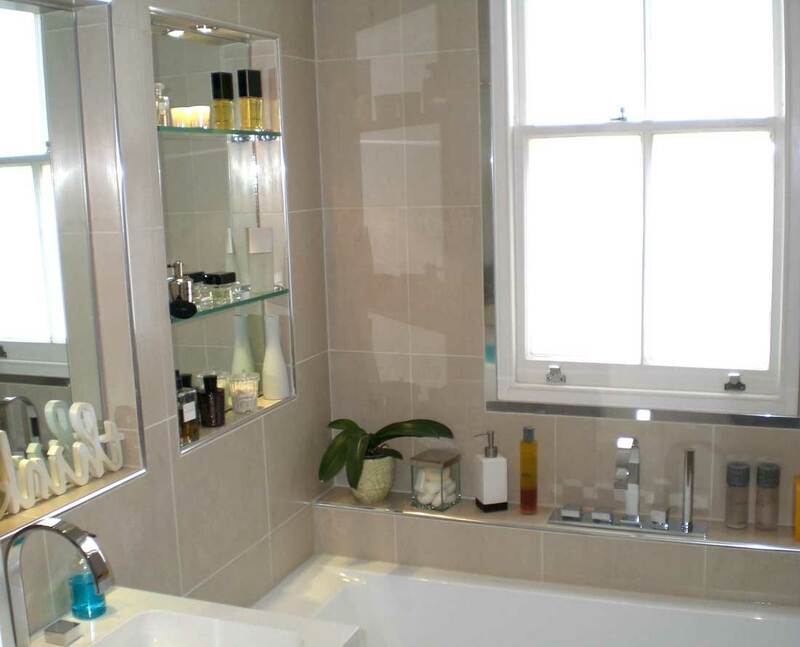 When selling your property, adding or remodelling a bathroom is an investment that will add value to the price. And even if not buying or selling, bathroom refurbishment is a much needed home improvement to make your home safer and cosier. If you run a hotel, a restaurant, or any other public establishment, you'll know customers will judge your business by the state of the bathroom as much as the facade. Whatever your needs, you can arrange your bathroom refurbishment in Hounslow for households and commercial properties with a phone call to 020 3746 5384 or online via the contact form and live chat on our website.